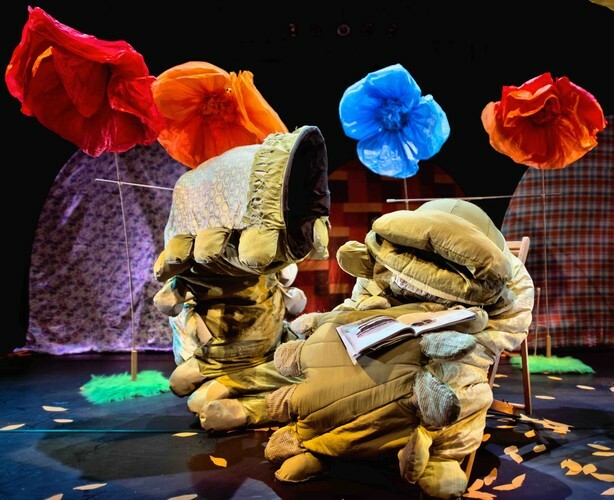 In a magical world of flitting butterflies, jumping eggs, and giant swaying flowers, two lycra-clad clown puppeteers try their hardest to remain unseen and at service to their puppets: two enormous plump Caterpillars. Caught in the wrong place at the wrong time, with nothing but their wits to cover up escalating blunders, the hapless puppeteers take upbeat absurdity, slapstick and silliness to new heights, but, get grounded hilariously in reality. This show is created and directing by internationally renown Canterbury lad: Thom Monckton, and has been loved by audiences worldwide. A collaboration with Circotica (Christchurch) and Kallo Collective (Finland).